In a world where real estate is king, selling your home is bound to be a profitable venture. As home sellers, the process can either go completely smoothly or encounter a few hiccups along the way, particularly when it comes to a home inspection. Thankfully, there are few potential disasters you can avoid a head of time if you follow these five house inspection tips. Basements give you more storage space, and frequently people love using them as either additional living space or as a cool, laid-back man cave. Having a finished basement will certainly increase your home’s resale value, but be wary of potential problems lying under the surface. Hire a professional home inspector before you list your home, and ask them to focus on the basement and the foundation in general. Look for serious signs of a problem like cracks or leaking. With a trained eye, an inspector can spot serious problems so you can make repairs before the home goes to market. Signs of water can mean even deeper issues, so look carefully for pooling, dripping, or general leaking. Cracks are another indicator that your house may be shifting, and there could be potential foundation problems. Whether it’s a hairline crack or something more serious, a home inspector can help you determine the next course of action. When a home is not properly wired, it can cause a myriad of problems ranging from possible fires to appliances malfunctioning. If your home has older, “knob and tube” wiring, you may need to consider an entire upgrade before you sell. Have a home inspector check all wiring, outlets, and breakers to ensure that the voltage is correct and everything is in good condition. Another older type of wire, aluminum, can cause problems especially when it’s mixed with copper wire. Get a few estimates from local electricians to find out how much it will cost to update your wiring. Doing this ahead of time will avoid potential disasters when you go to sell. Most home inspectors check the electrical system of a home, and they’ll point any problems they see out to the buyer. It’s better to have the issue nipped in the bud beforehand so you can avoid haggling or even having someone walk away from the sale. Once you’ve chosen a home inspector to look over your abode, it’s important to follow their recommendations as much as possible. Overlooked issues will cause you more heartache, in the long run, so read the report carefully. A good, detailed report should tell you exactly what needs to be addressed before you put the home on the market. Even if it might cost you money upfront, it will help to make the home selling process go much faster and more smoothly. 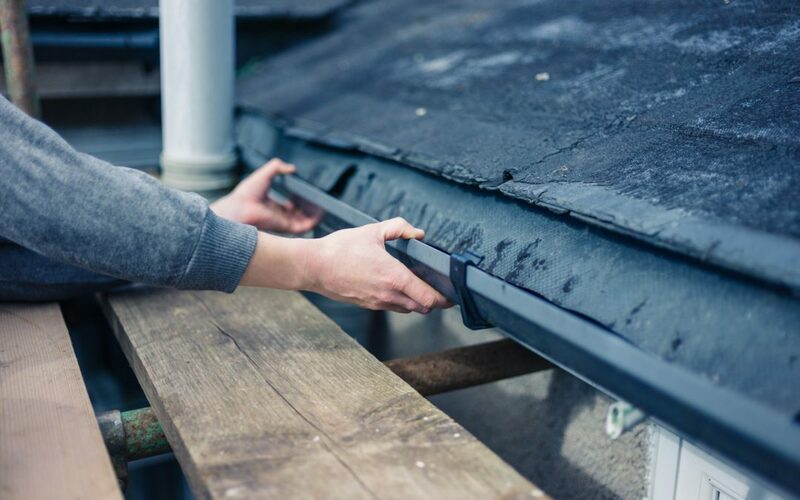 Don’t ignore the most important recommendations like fixing a leaky roof or addressing plumbing problems. If you do, it could cost you big money in the long run. Save your cash and make repairs as needed if you have time to spare. Either way, you really can’t afford to ignore whatever suggestions for repairs your home inspector makes. Home inspectors are used to people following them around while they do their job, so don’t be shy. Make sure you schedule the inspection during a time where you can be there to attend. Take notes as you go, and be sure to ask plenty of questions. Being armed with the right information and advice will definitely help you make wise decisions. Keep in mind that the inspector will need to listen for certain sounds like potential mechanical problems or appliance malfunctions. Be silent, but you can always ask him or her to pause whenever you have a concern or a question arises. By being present, you’ll have a better, clearer understanding of what the possible issues are. If you aren’t sure what to look for, have a trusted friend or family member who knows about home repair join you. When selling a home, we often overlook the outdoor features. A deck that isn’t built properly won’t be up to code, and it can come back to bite you. Make sure you follow the house inspection tips that apply to your home’s exterior, too. Decks that were built a long time ago have been pummeled by rain, snow, wind, and other weather, and this means it could be time for a replacement. Ask the inspector if the deck can easily be repaired, or if they think it should be replaced. If it’s the latter, you could choose to have it completely removed to save money. Keep in mind that an outdoor deck is a major selling feature, so you’ll need to decide if it’s worth fixing, replacing, or removing. An experienced real estate agent can help you determine how much more money a deck would bring when you go to sell the home. From old, faulty wiring to foundation issues, it’s important to pay close attention to these common problems. Following these simple house inspection tips, you’ll be better educated and prepared when you are ready to list your home. Make sure you listen carefully to your inspector and try to make as many essential, recommended repairs as possible. For more information on home inspections, helpful tips, and much more, visit our website.